A few days ago, our school, the School of Humanities, Education and the Arts, held a retreat at Cedars of Lebanon State Park, located a few miles south of town. As we sat in the assembly hall and talked about the upcoming academic year, my mind kept wandering toward our surroundings and the times I have spent in the park. On one side of the hall, there is a playground and some picnic tables. That’s where we had a picnic for my grandfather a few weeks before he passed away. He had a brain tumor, and everyone knew his time was short. Picnics were one of his favorite things, so we had one while he was still able. On the other side of the hall, there is a softball field in need of much repair. In the past, our university’s intramurals have been played there, but it was built for a different purpose. Years ago my dad sponsored a professional softball team, and he had the field built as a home park. Everything was donated, but some government agency refused to put up the lights. I noticed that there are now lights. 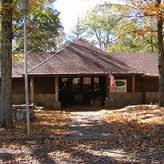 The Dixon Merritt Nature Center is located just past the field. Named for a local historian, the center presents the wildlife that can be found in the park. When I was a kid, we would take field trips to the nature center. I always wondered why a center dedicated to nature would have stuffed animals on display. There is a short trail behind the nature center that I always thought was cool. It leads into a gully that contains a cave. I never got up the courage to go into the cave, but legend says that it ends underneath the town square. That’s probably not true, but it was the home of a whiskey making operation. At the other end of the trail, there is a New Deal era recreation building that used to have a ping-pong table. On the other side of that is a playground with a great slide and a great swing set. When I was a kid, I would see how high the swings would go. Some kids jumped out of them. I always dragged my feet on the ground until it stopped. In the same area, there are a bunch of picnic tables. These fill up the fastest because they are the first ones that people drive past. Unfortunately, my memories of this area aren’t positive. Sitting on one of the tables, a girlfriend and I had one of those discussions that always ends in a breakup. If people drive past these tables, then they will find other things in the park. Like any good state park, there is a camping area. There are also some pretty cool trails. A swimming pool is located at the far end of the park. I think that I went there once as a kid. It’s a nice pool, but we had one at home. There is also a frisbee golf course that a few of us played. That’s when I discovered that I am no better at frisbee golf than I am real golf. Cedars of Lebanon is named for the grove of trees that it encompasses, and our town, Lebanon, is named for the same reason. When settlers first moved into the area, they saw all of the cedars and got all Biblical. You know, the Bible talks about the cedars of Lebanon, so that seemed like a good thing to name the town. These days, Lebanon is known as the “Cedar City.” Although the park is officially named Cedars of Lebanon, most long-time Lebanese call it Cedar Forest. There are “cedar” things all over the place. There is even a Cedarstone Bank that combines the two things we have most of – cedars and rocks. You know all of the cedars around here. They aren’t cedars. They are junipers. So, the settlers were wrong. There are no cedars to inspire the name of Lebanon. Now, the city with the wrong name uses a slogan that is just as wrong. The park that has been part of my life and the lives of many people in this area has the wrong name. We thought we were playing amongst the cedars when we were really should have been calling it Juniper Forest. The cedars of Lebanon were all cut down by Tyre who sold them to Solomon to build the temple. Which is why there ARE no cedars in Lebanon the nation. Just a trivial factoid. There’s a town of Lebanon in NH not too far from us. They have cedars too. Those are interesting facts. 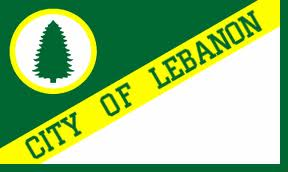 I wonder if all towns named Lebanon have a lot of cedars.